One could be forgiven for reaching that conclusion. 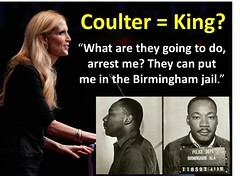 Perhaps Coulter’s tweets can shed some light. 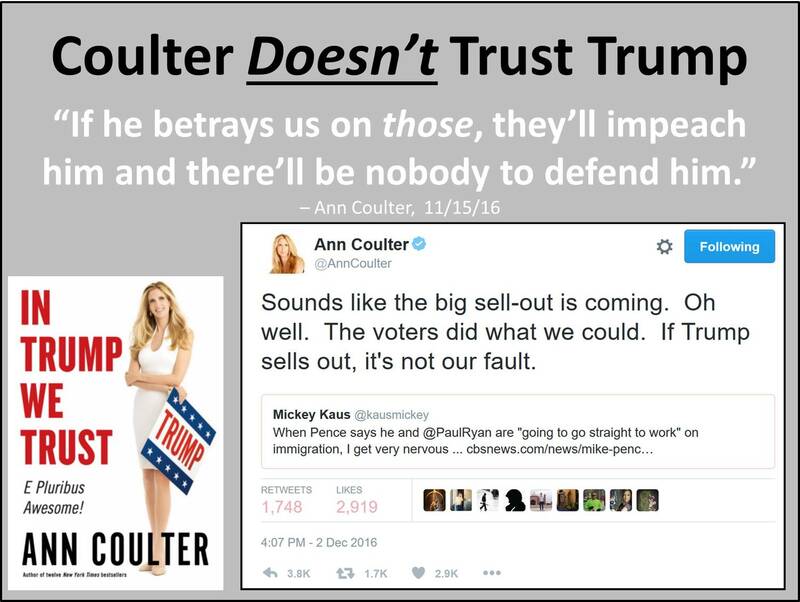 Her first and only Christmas tweet in 2016 proclaimed not the gospel but her political views on immigration: “My Christmas card: 7-Eleven Men’s Room Door, Bonner Springs, Kansas, today …” (Build the Wall). Though she left Christ out of Christmas, what about Easter? Her 2016 Easter sunrise tweet – “Happy Easter! Thanks for eternal life, Jesus! And God bless this sweet Muslim martyred in Your name” – linked to a feature on a Muslim martyr. 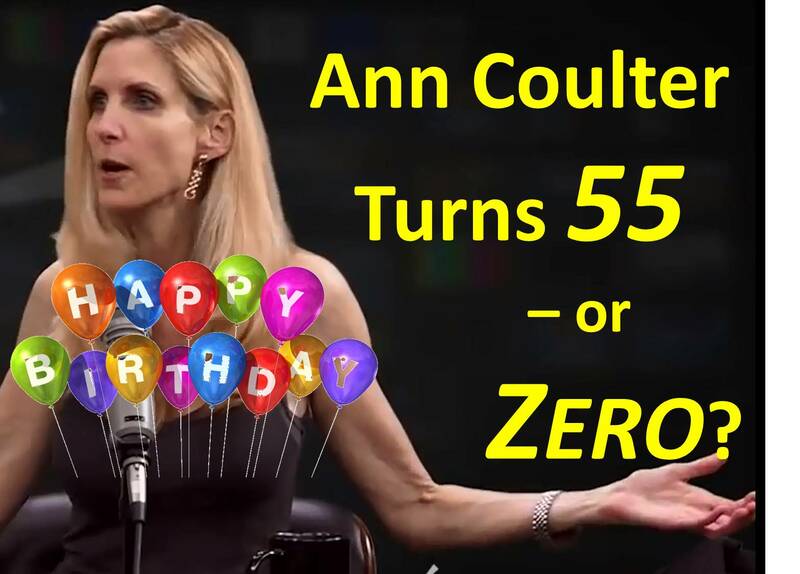 While praising Jesus for salvation, Ann was joyful over a moderate Muslim who was martyred for seeking unity between people of different faiths. Asad Shah, a “devout Muslim,” never knew Jesus and was not saved. Jubilation? Actually, the Christmas season is a spectacular time to introduce the Savior of the world to those in the world who do not yet know Him. 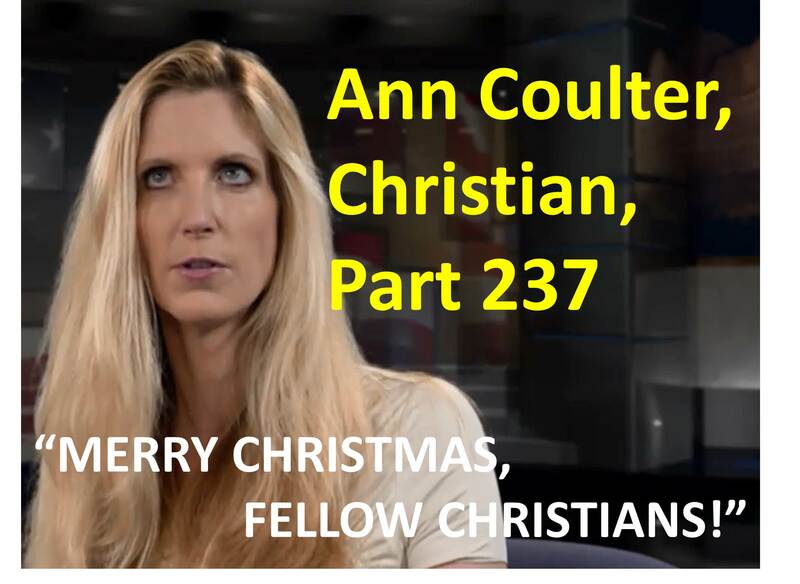 Wishing non-Christians a “Merry Christmas” with a heart of love can, at the very least, point them toward Jesus. Moreover, it offers us an opportunity to share our faith with non-believers. Christmas is all about the gospel of Christ, whose birth has been celebrated for two millennia. Favorite traditional Christmas songs (Joy to the World, God Rest Ye Merry Gentlemen, etc.) celebrate the incarnation of the Messiah into our world, our lives, and our hearts. The most well-known Bible verse, John 3:16, encapsulates the gospel message: “ For God so loved the world that He gave His only begotten Son, that whoever believes in Him should not perish but have everlasting life.” Our Father’s gift of Christmas was followed by His gift on the cross. Jesus entered our world, not to see a “devout Muslim” martyred for saying “Merry Christmas” or to promote an anti-immigration agenda, but, rather, to save mankind from itself, and, in the process, break down barriers and bring reconciliation. 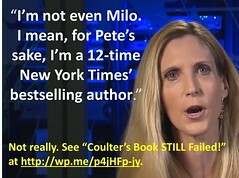 The Christmas spirit still eludes Coulter.